The Coil Solutions Slip Connector was designed to attach the bottom hole assembly to the end of the coil. The slips ensure that the axial load is transferred onto the coil. 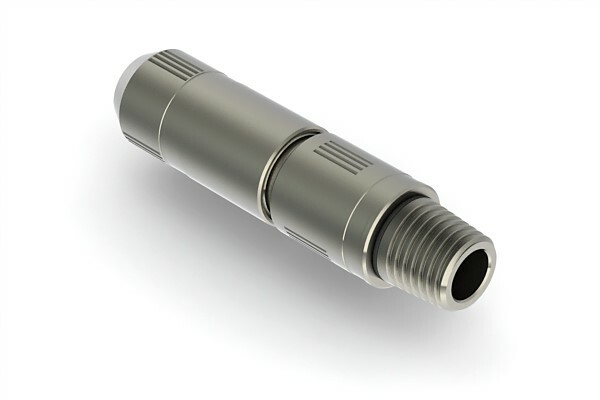 The Slip Connector consists of a top sub, slip, brass ring and a bottom sub with the desired connection. The dressed coil is stabbed into the connector and the bottom sub is rotated to start the tightening process. An over pull is taken to set the slips further and re-tighten the sub to ensure no more movement can be achieved. Versatile use for milling, drilling, fracturing etc.